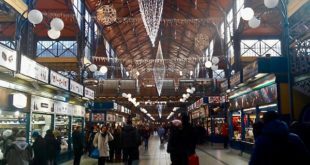 The market halls in Budapest winter are just as buzzing in February as any other month, including the fabulous Great Market Hall, where you can also enjoy some authentic Hungarian tastes and buy Hungarian food gifts. 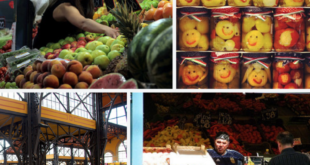 Although there are no special cultural days normally scheduled for Feb, there are still many things to choose from on the market scene. For your Budapest visit in February elsewhere in the city, you can check out our recommendations below. 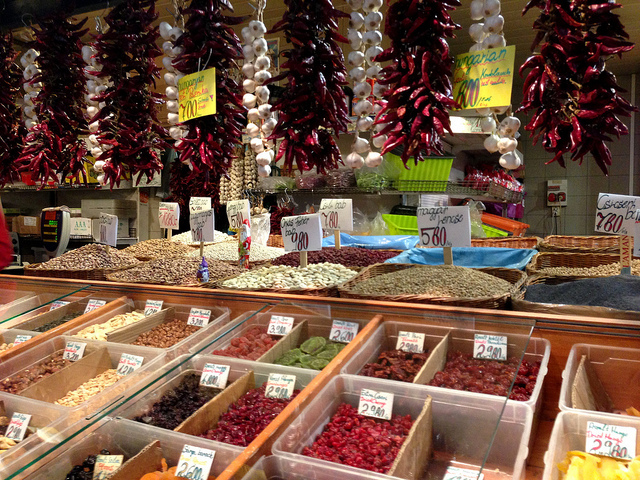 If you are interested in a guided market hall tour, you can book a tour in advance in the Great Market Hall (also known as the Central Market Hall) or in the smaller Downtown Market Hall. In all tours, you can upgrade to a tasting, which varies in its content. 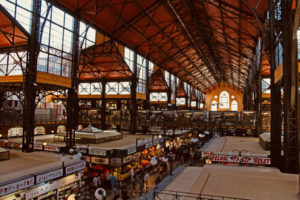 The guides will present the history and architecture of the Budapest Market Halls. 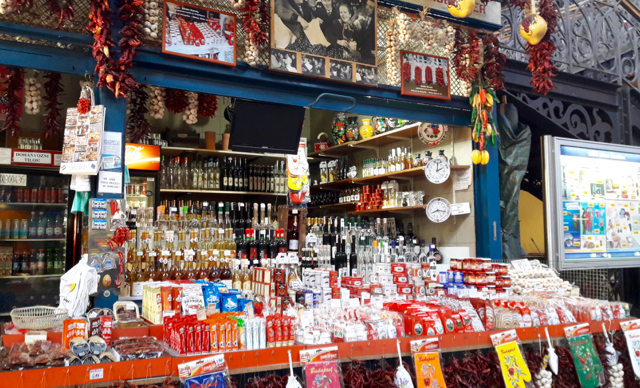 Budget Market Hall Tour with Optional Tastings in February. 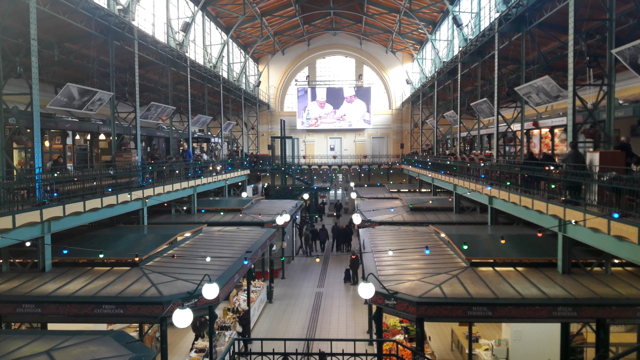 Great Market Hall Tour with Lunch in February. 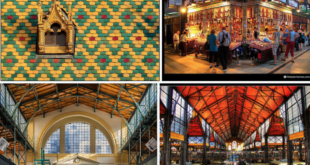 Foods Tour in Downtown Market Hall & Artisan Shops in February. 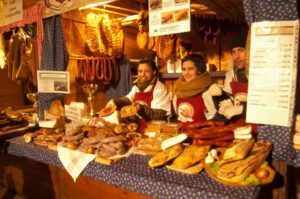 February is a winter month in Budapest, so most of the February Things to do in Budapest are either in a heated place (even Budapest winter cruise ships on the Danube are heated) or are more culinary fresh air events, typically offering hot drinks, warm winter foods (e.g. the Hairy Pig Festival in Budapest called Mangalica Festival), or are on the sporty side, including skating, winter walks, etc. Concerts are a great option to steer away from the winter blues. You can find some of the highlighted Budapest Concerts in February here. February Festivals in Budapest often include options to taste traditional Hungarian winter snacks, stews, fries, drinks, so if your holiday allows, try to visit a festival and see what is on offer. You will find that more contemporary culinary trends mix with traditions, e.g. 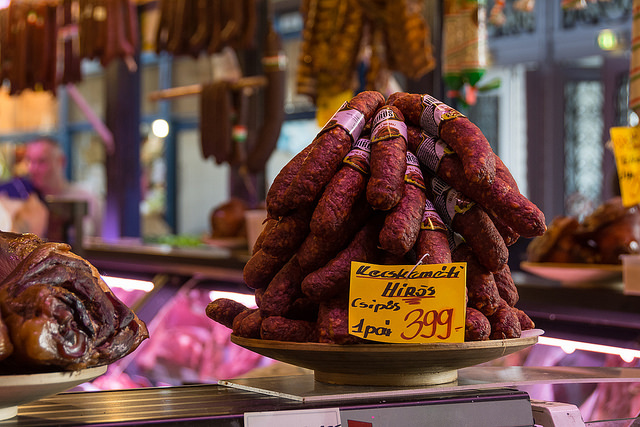 one stall offering gluten free vegan snacks, or goat cheese delicacies, while the other sells freshly fried blood pudding sausages and Langos, the delicious fried bread of Hungary. Do you wish to go to a nice festival in Budapest in February? Do put on more layers to keep yourself warm, and enjoy the winter atmosphere.